They import only the finest ingredients from Thailand and offer over 400 products for sale online. There is also a database of over 150 recipes. 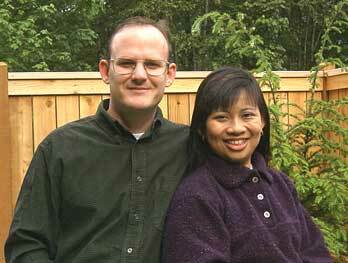 Jerry and his wife, Yaowalak founded their web company in 1999. I’ve ordered from them a few times and my order always comes packed extremely well. They even consider which shipper they are using, and pack accordingly. In my experience, each bottle was wrapped in bubble wrap and securely wrapped again for protection. Jerry is always available by phone with any questions you may have about a product, or how to use it in your cooking at home. The products arrive intact, and fresh. I have to stress that fact because even though many US grocers stock similar products, the products can be either near “out of date” or inferior in quality. They just aren’t fresh, like you can get from importfoods.com. … and a few others I’ve lost track of, including a few sambal oelek sauces. Be sure and tell Jerry at ImportFood.com that Brian from HotSauceDaily.com sent you! 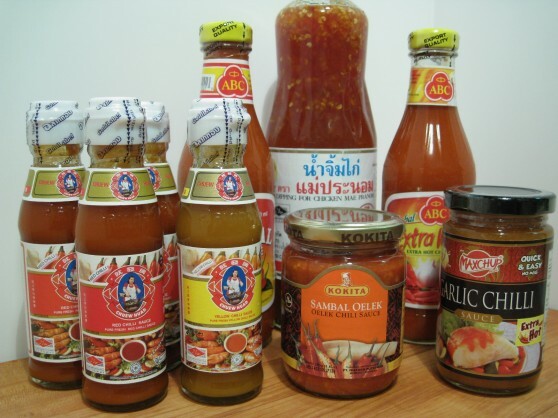 Thai hotsauce is great, the ones i have tried have a sweeter taste to them. Thanks for the website suggestion, definitely will have to check it out! @mma gear – Great. ImportFood.com has a good selection of authentic Sriracha sauces. You won’t be disappointed! Thanks for the review, this store sounds great. I just ordered a few sauces and other items from them and thought I’d look for some reviews online. Looks like a friendly place to shop for import foods, can’t wait to get my order. @Andrea – you won’t be disappointed! These folks are great, very knowledgeble and you only have to call their number to speak with them one on one. Let me know when you get your order, if you want to share in your happiness! Thai sauces are really difficult to get here in Spain and I was looking for a reliable on line Thai food supermarket. I guess I’ve just found it :). Yikes! I’ve just noticed they don’t ship to Europe :(. @liuia – I have the same problem here, I can’t get shipping from many UK sellers. I’ve been trying to get Flying Goose Sriracha shipped, and found only one seller that can only ship 1 bottle, and the shipping is more than the bottle. I had been having good luck with them but my last order has been extremely frustrating. I placed an order on May 26, received the wrong items on May 30. When I called on Monday, June first they said sorry and it would go out that day. I was happy with that. Now I’ll have to rethink purchasing from them again. Hans, sorry to hear that. But every company has some hic-cups from time to time. You said you’ve had “good luck” with them in the past. I would suggest calling and asking for Jerry, the owner. He’s a very nice guy that I’m sure would want to know about your experience. Thanks Brian. I did discuss it with Jerry and will buy there again. My biggest complaint was with the communications. My entire order with gifts for my children was delayed because of ONE item (which I would have GLADLY left out of my order if the rest could have arrived on time) being out of stock. I ordered on December 11th, order was not shipped until December 23rd. I was NOT upgraded to 2 day shipping, even though this was THEIR mistake and they …were offering free 2 day shipping on a knife set. I was NOT given any kind of notice that the item was out of stock. I was NOT even contacted to ask whether or not I would be willing to pay more to receive the out of stock item at a later date at MY expense, which I would have done if I could have received my order before Christmas! I had no idea why I hadn’t received the item until I got an email from them with tracking on December 23rd. (As it is, FedEx says the package is in Oregon, but it was last updated on December 24th.) So much for a Christmas gift. By ordering on December 11th, this package had PLENTY of time to arrive before Christmas. How can their website not track in stock and out of stock items? My tiny little website I put together myself can accurately track in-stock items! Then, when I posted my complaint on their Facebook wall, they just deleted my post! Unreal. Worst customer service experience I have experienced in a LONG time. I will be putting the word out everywhere I can about this, because it is absolutely ridiculous. I absolutely do NOT recommend this company after this experience. I never even got an apology until after I wrote to them to ask WHY my order was JUST getting shipped out 2 days before Christmas. Unacceptable. I’ve had nothing but stellar service from them. Personally, if I placed an order with anyone and 5 days out it hadn’t arrived I would have contacted them immediately. I would not have waited until 2 days before Christmas to inquire. They’re not Amazon – they’re a small company. So 2 days before Christmas is a little late to contact them about your order. Sorry you didn’t have a better experience! With all due respect, I don’t really feel I should have had to inquire, Brian. I expect that if a company is out of stock, they can take 2 minutes to send a quick email letting me know an item is out of stock. Otherwise, I assume the order will arrive on time. However, they have worked hard to fix the situation, and I do appreciate that. I have already written to them to let them know how much I appreciate what they have done, and I do plan to order from them again. I am convinced this was all just terrible timing, and probably boils down to my own rotten luck. Believe me, if something can go wrong, it will go wrong for ME and no one else. I have also told them that in the future they should make sure to let people know if something is out of stock. That way, they can perhaps offer (as I would have) to pay a little extra for shipping to receive the rest of the order on time. Just a quick note would have made all the difference in the world in this situation, especially considering it was the holiday season. By the way, my order itself was not “less than $20”, it was $27.34, and with shipping came to $35.14. That may be relatively insignificant to some people, but to my family it’s a tremendous amount. And it wasn’t 3 items. It was 3 types of items, but I ordered 4 of one and 2 of another, for a total of 7 items. We don’t get a lot of special items, and yes, it was very distressing to not receive the items on time. The holidays were already extremely emotionally charged because of our situation, and I just felt completely ignored. But I do appreciate now that they have explained the situation and I do plan to order from them again. This customer’s explanation is correct. At the peak of the holiday rush we did not ship her order, on December 11, because one of the items was out of stock. This was a small order, 3 items, less than $20, but still we take this situation seriously and we apologized to Tara. As we offer about 400 items, sometimes we might ship an order 2 or 3 days later than expected if something is out of stock. We make it a policy that every week, by Thursday, every order is shipped entirely. It is very unusual for us to ship 2 weeks late. Immediately after we shipped Tara’s order, she began sending us long messages about being in a desperate financial condition, homeless and destitute in a temporary shelter, and how not getting the order ($20 merchandise) was causing deep emotional stress. In our 11 years of business, I have never seen anything like this. I am sympathetic to homeless people and I felt terrible hearing all of this. I refunded the entire, and told Tara that we are of course very sorry and when the order arrives she can keep the merchandise. Tara posted an angry message on our Facebook page which we left there for three days and I am sure plenty of people saw it. I felt that after 3 days it was time to move on and deleted it, and within a hour we got another long angry email from Tara criticizing us for deleting the message. Tara I hope you can move on from this order delay and please accept that we refunded your order, and we have apologized. We are a small family company of 5 employees, and we acknowledged to you that we are sorry. Please take a look at the people you are so determined to ruin the reputation by “spreading the word everywhere”. I do agree with Brian that had you called after placing the order to emphasize the importance of getting the Thai tea powder, we would have done something to make sure it did not turn out like this. We have shipped tens of thousands of orders and we have many repeat customers because we do perform well over 99% of the time. By the way, you made it seem like I was spamming you with many messages, but that isn’t true. I sent you one message after receiving tracking information asking if it was really true that my order was just shipped and asking why. Then I sent one message in reply to your message that the item was out of stock, letting you know how upset I was. However, I never got any response whatsoever to the email I sent on the 23rd. I assumed this was because of the holiday, so I sent my third message to you on December 27th, after the holiday. And the only reason I got so upset was because (1) you did not reply to my second email and (2) you deleted my Facebook post, which proved you were around and you just didn’t want to respond to my email. So you only got one “long message”, not “long messages”. I feel it’s unfair the way you stated that. Anyway, I do appreciate you refunding me for the order. That is NOT what I wanted. I didn’t expect to receive something for nothing. In fact, I would have initially paid a little extra to have the out of stock item shipped at a later date so the other stuff would have arrived before Christmas. I was just upset at the lack of communication and the fact that it seemed like you were just ignoring me. Now that you have taken the time to respond to me and show me I am appreciated as a customer, there is nothing more I can ask. I appreciate it, and I am satisfied. Thank you, and I do hope to order from you again in the future. I placed and received my first order from this store. My order was perfect and I have to say that I haven’t had such excellent customer service in a long time. Will order from them again.